In a recent guest column for The Courier, state legislator Joel Kleefisch (R-District 38) took fellow lawmaker Rep. Debra Kolste (D – District 44) to task for her campaign to include the use of vapor products in Wisconsin’s statewide smoking ban. “Fellow state legislator Rep. Debra Kolste of Janesville introduced legislation that would include electronic vapor devices in the Wisconsin indoor smoking ban. The usage and selling of these products by minors is already against the law and should stay illegal. It’s not governments job to tell people of the legal age that they are not allowed to partake in a legal activity,” the lawmaker pointed out. Rep. Kleefisch has done his homework and discovered the truth about vapor products. He was a sponsor of AB 762, which sought to exempt vapor devices from inclusion in state smoking bans. Unfortunately, the bill failed to pass. 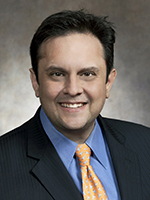 (One reason given to supporters of the blll, by lawmakers who voted against it, was that there weren’t any attempts to include vapor products in smoking bans, so it was “unnecessary.”) Rep. Kleefisch is also the spouse of the current Lieutenant Governor of Wisconsin, Rebecca Kleefisch. WSAC is hopeful that she is of the same mind as her husband and will convince Governor Walker that banning the use of vapor products anywhere by law is bad for the health of Wisconsin smokers and bad for Wisconsin. Please sign the Wisconsin Smoke-free Alternatives Coaltion (WSAC) petition requesting Wisconsin lawmakers oppose any laws prohibiting the use oif vapor products at Change.org and don’t forget to sign up for a free membership at WSAC today! By kristinnollmarsh in News on January 22, 2015 . Against people for choosing a safer alternative. Thank you for your support. Thank you for your common sense approach and support of Vaping.